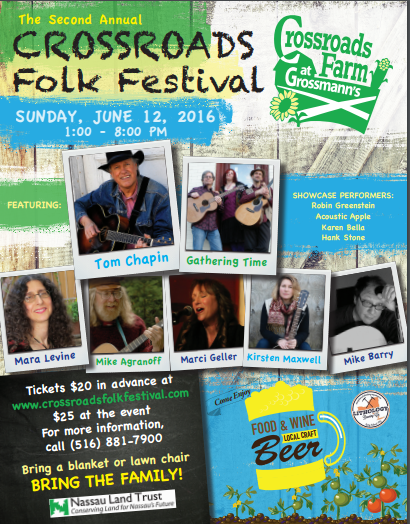 Tom Chapin and Friends Perform This Sunday to Benefit the Farm! Please join us for this blockbuster benefit performance at your local farm. 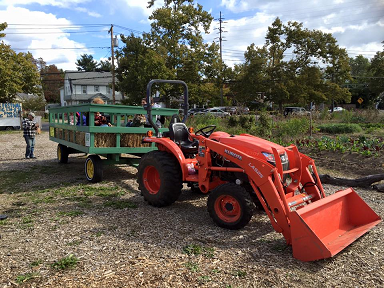 Your ticket purchase directly benefits the farm. There will be six featured acts, an opener, and four showcase performers! Check out the full program and artists bios. The main headliners are Gathering Time and the storied and grammy award winning artist Tom Chapin. 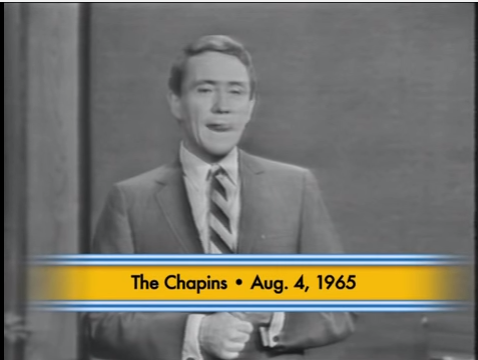 Click here to see an amazing video of Tom and his brothers with their father Jim on the drums from the Merv Griffin Show in 1965, before they signed their first recording contract. Tom is on the left in the video. 23 albums and 3 Grammy awards later, we are honored to welcome Tom Chapin to Crossroads Farm. This will be a good time! Wine and craft beer will be served. The food purveryors will be Corazon de Cuba, Buttered Biscuit, Uva Rossa, and Watchtya Wonton. And Boy Scouts will be handling the grill. Tickets are available in advance for a discount at $20 (click below) and will be available until Saturday at midnight. Tickets at the door in Sunday will be $25 for adults. Click here for more ticket information. All of us look forward to seeing you around the farm!